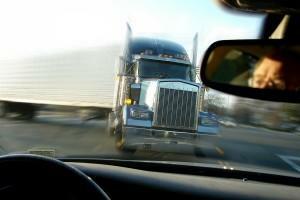 Who's Responsible for Losses Due to Trucking Accidents? Each year in the United States, thousands of people are injured or killed in semi-truck accidents. While many victims may consider pursuing claims against those responsible, it is a common misconception that the truck driver is automatically to blame. The reality is that victims may be entitled to hold more than one party liable for the injuries and damages in a semi truck accident. It's important to seek legal counsel in order to receive the maximum compensation to which you may be entitled. Under Georgia law, a driver who breaks safety rules or is otherwise negligent can become legally liable if his or her actions cause an accident. This fault rule applies not only to drivers of passenger cars, but also to semi truck drivers. In the event of a crash, it is up to the injured accident victims to prove that the other party was to blame in order to obtain monetary compensation. However, in many cases, the truck driver may not necessarily be the only party at fault. Understanding each of the different parties that may be responsible is important, as the damages sustained in a semi truck accident can be significant. While some victims may not feel that legal counsel is necessary, an experienced Georgia truck accident attorney can review your case, determine if additional parties can be held accountable, and work to help you seek the maximum compensation possible under Georgia law. Victims may be entitled to recover monetary damages for pain, suffering, past and future medical costs, bills, emotional distress, missed time from work, and lost income and wages. Additionally, surviving family members may be entitled to pursue a wrongful death claim on behalf of a loved one if it can be proven that another party’s negligence caused the accident and the subsequent death of the relative. These claims are intended to provide the decedent’s family with financial compensation to cover any outstanding debts, medical or burial expenses, and loss of consortium, or loss of income if the decedent was the primary wage earner of the family. Van Sant Law, can provide victims of semi truck accidents with a free, no-obligation case evaluation and help them determine if they are eligible to recover damages for their conditions. Our caring and experienced Georgia semi truck crash lawyers have handled many cases in which our clients sustained injuries in wrecks with commercial trailers, and we understand how frightening and stressful it can be to take legal action. In every case, we strive to ensure that you are treated fairly and with respect. Whether we are representing you in a court of law or helping you to negotiate an out-of-court settlement, we put our legal experience to work to ensure that the appropriate party is held responsible for your losses. To learn more about how Van Sant Law, can help you with your semi truck accident claim, fill out our free, no-obligation online contact form, or call us at (404) 991-5950 today.